If you've ever been caught in a rain shower without your umbrella, or left it on a bench or bus, this high-tech version may be for you. Not only is the 'Oombrella' brightly coloured so you won't miss it, it will send you a reminder if you unwittingly leave it behind or if it's about to rain. What's more, the world's first 'smart and connected' umbrella can predict the weather for the next 15 min, using its own sensors as well as data from a social media community. 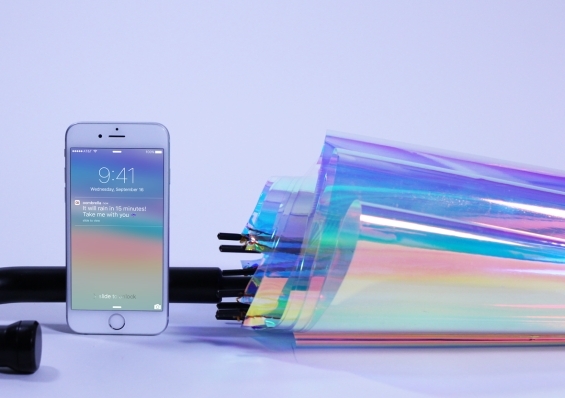 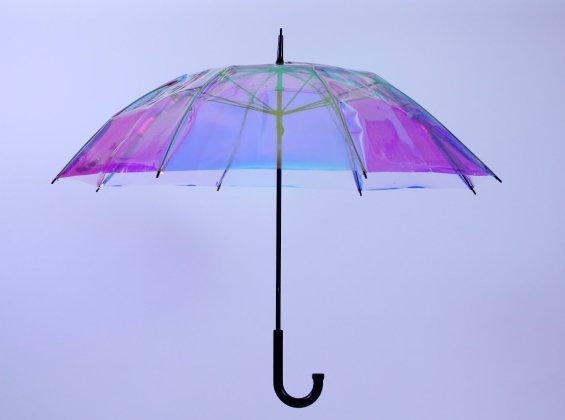 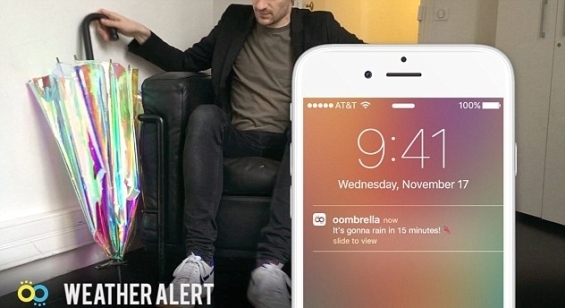 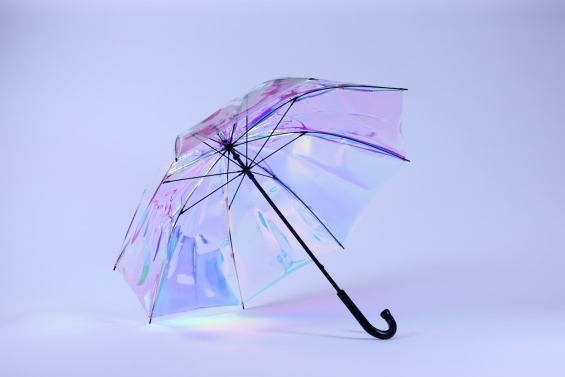 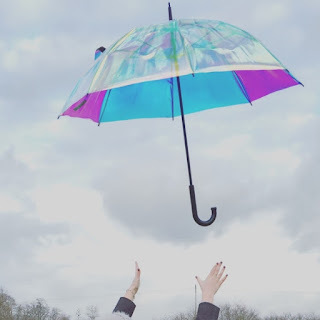 The reflective multi-coloured Oombrella uses built-in sensors to record light, humidity, and temperature. 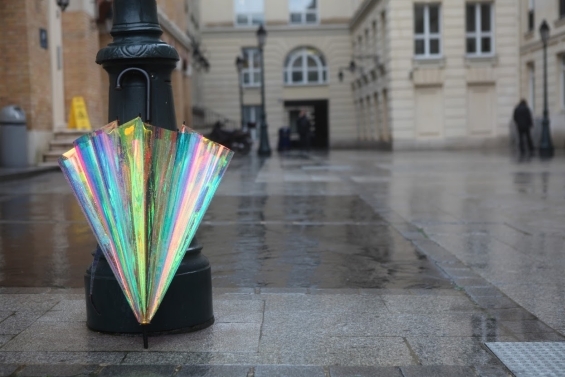 The umbrella will also send alerts if it realises its owner has accidentally left it at home or in a restaurant for example, using a built-in GPS tracker. 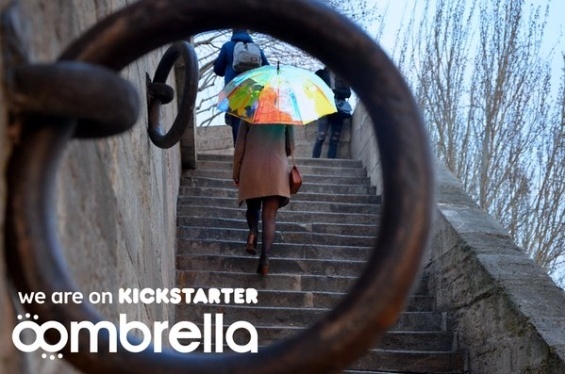 Oombrellas are not for sale yet but they will be available on Kickstarter this March and in shops and online in Autumn. 'The retail price is €79 and early bird price is €59. 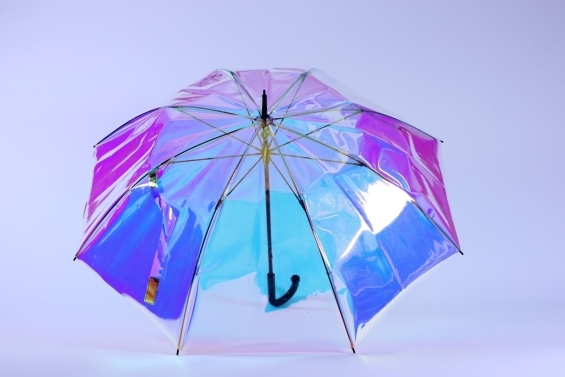 The product will ship globally, he added.